ANOLE HOT RUNNER mould injection system is developed by specialized designer in Portugal and manufactured in China. It is good injection molding solution with good quality, service and price. Anole is Offering you solutions for hot runner system design, hot runner manufacturing and hot runner installation and as well as after sales services. Manufacturing was founded in 2000, ANOLE Injection Molding Technology Co. is a technological intensive Sino-Portuguese joint venture with the concentration upon the hot temperature injection research, development and services of high-tech plastic injection mould system for your plastic projects. ANOLE injection technology manufacturing is located in Huangyan, Taizhou City, Zhejiang—town of mould in china, registered capital of 1.5 million USD and the average yearly output of 30,000 tips of hot runner nozzles. So far, we have won an excellent reputation from international markets and domestic market for its reliable quality and stable performance. In 2001,ANOLE company signed with GERMAN hot runner heaters company to be the general agent for hot runner heating elements selling in China. This heating elements company is a well-known international enterprise specializing in various kinds of hot runner heating elements and thermocouples. Even sometimes our customer worried about the price because of our imported heaters, but since we signed the contract, we can get much cheaper price than others so as to save a lot of cost for our customer. German heaters are praised as the one of the most durable and stable hot runner heating system. The good quality mould heating elements kept the heaters stable and long lasting. ANOLE purchased the world advanced tooling processing and testing equipments, like deep hole drilling, SODIC EDM, machining centers, precision CNC lathes, CNC milling machine, etc. 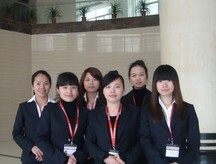 Moreover, ANOLE hot runner has a strong working team, advanced processing technology and credible quality. ANOLE hot runner system widely used to the various areas like home appliance, automotive, packaging moulds, communications, aerospace, medical, personal care, toys, daily use plastic products and so on. We own the very strong R&D and design teams which has a group of professional and experienced plastic injection molding technology & solution process technicians. ANOLE can offer general or special hot runner manifold and hot nozzles according to customers' requirements. At the same time, we can provide you adequate hot runner technical consultation and perfect hot runner system after-sale service. ANOLE delivered to many countries, such like Portugal, Spain, Italy, Israel, America, Brazil, Mexico, Turkey, German, France... most of our customer are plastic mould manufacturers or plastic molding companies. In order to offer the very prompt hot runner services, ANOLE is now seeking on the partnership in different countries to establish the hot runner country agent and after sales service center. With the past several years developing speed, ANOLE is going to become another world famous brand for mould injection system. ANOLE injection system is your best choice for partnership, also is your best choice for your plastic mould . HOT RUNNER TECHNICAL INFORMATION, HOT RUNNER RND, HOT RUNNER BLOG, HOT RUNNER MOULD, HOT RUNNER EXHIBITION NEWS, HOT RUNNER MACHINE CAPACITY, HOT RUNNER SYSTEM, HOT RUNNER APPLICATION, CUSTOM HOT RUNNER. Injection system Provide perfect hot runner mould injection system solution. Anole Injection Technology Co.,Ltd research and developed hot runner Nozzel series include pin point gate series, direct gate series, valve gate series. Optimal reasonable size design, high quality and high heat conducting performance steel, using German heating elements to ensure heating fast, precision temperature control(tolerance up to ±1Cº), good sealing gate size control,(tolerance up to ±0.01MM). Company researched and developed manifold series include X, H, I, Y, K and other types. In the injection mould hot runner system, manifold is the center part of hot runner system, which transport the thermoplastic melt from the sprue to each nozzle..
China International Mould Exhibition is a large professional mould and manufacturing equipment exhibition, which is jointly organized by China Die& Mould Industry Association and Shanghai International Exhibition Co.,Ltd. Nowadays, it go through 24 years, its scale reach up to world leading position, and its authority and speciality are acknowledged by the industry and well-known to be large professional exhibition at home and abroad..